When kids wear the Miles Morales mask and gauntlets, they can imagine patrolling the city like the teenaged web-slinger. 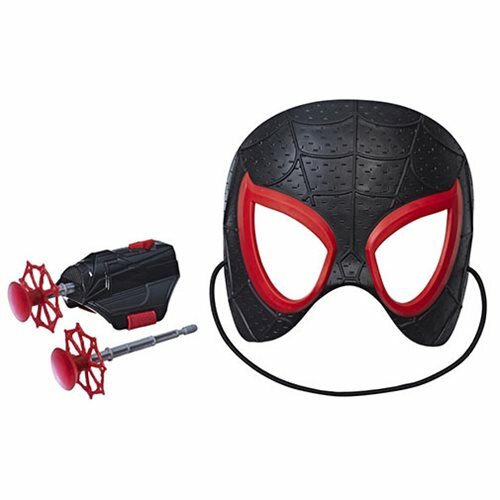 Plus, with web darts that launch from the gauntlets, kids can imagine taking on the bad guys like the heroes of the Into the Spider-Verse movie! Includes: mask, gauntlet, and web darts. Ages 5 and up.